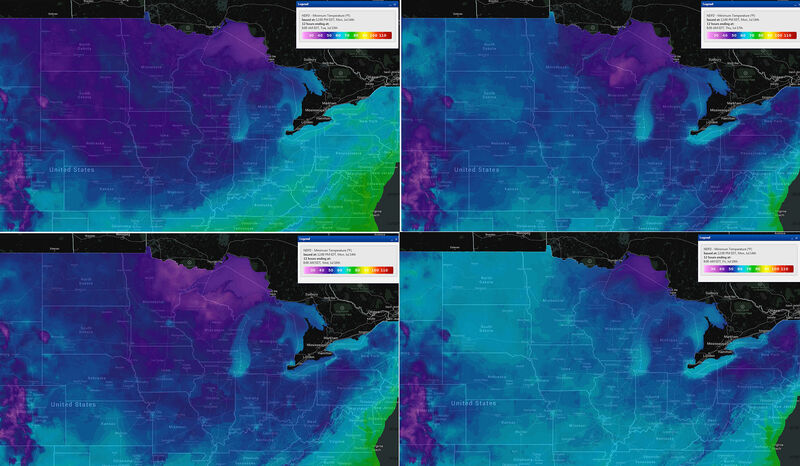 Summer Polar Vortex vs. 2009 Year Without a Summer? So when's the last time this happened? What many people may not remember is the 2009 July cooldown, which set over 7,800 low temperature records (NCDC) and caused a chilly July the likes of which had not been seen since 1993. The map above shows the 2,009 (ironic, right?) record low minimums broken that month. Some called 2009 "The Year Without a Summer" (though it didn't really compare to the real Year Without a Summer in 1816). In seven states, it was the coldest July in recorded history. It's unlikely that July 2014 will get close to the same level of chilliness as 2009, but this week's outbreak is nothing to sneeze at. Some of the negative departures from normal are as low as -5.4 to -6.3 so far this month (highlighted on the map below) but it's still early in the month. The same map I posted in July 2009 for the first 23 days of the month showed similar numbers over a much wider area, and departures as low as -8.7! - New York City didn't hit 90 degrees until July 2nd, later than any year since 1985.